I should not be liking this wine. I am, after all, a Francophile by taste And although I’ve tasted some domestic Pinot Noir using Burgundian yeast and clones and another from New Zealand (same clones, and again with the yeast) and have enjoyed them - doing this only served to establish my preference for the “old world” style: earthy and not so fruit forward. 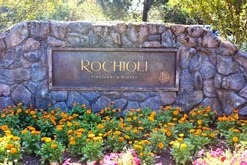 But this Rochioli Pinot Noir exploded with fruit and I was loving it! I cannot recall ever having so enjoyed a fruit forward wine. If any Pinot Noir could re-patriot me, this Pinot had the best chance. No, I haven’t changed my general orientation to Pinot Noir. The problem (my opinion) with most fruit forward Pinot that I tasted is that its “forwardness” is dominating. It obscures all the other characteristics of the wine. There is no symphony playing out of the bottle, only a concerto from an instrument that keeps playing the same note. Good wine, great wine, displays a push-pull of balance; a tease and reward system of notes on the palette that constantly intrigues and invites more exploration. The better the wine, the better this game is played out. Noir (including a rose of Pinot), Syrah, Valdiguie (a Languedoc-Roussillon in the style of a Gamay) and a sparkling Blanc de Noir. But it was the Pinot Noir that possessed me. That it, in fact, possesses so many people is evident when you look at the ratings. 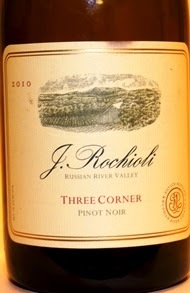 While all the Rochioli varietals are well rated (you can see this yourself - click the tab labeled “accolades” on the vineyard’s web page), it’s their Pinots that constantly garner 90+ points, with some releases earning numbers like 96/93/93 from the Parker-Tanzer-Galloni triumphate that possess me. 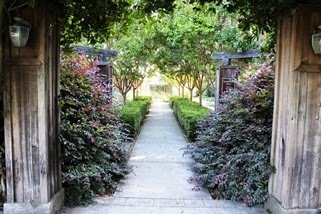 And in the guide books for California wine touring, Rochioli vineyard is always included as a must visit with emphasis on tasting the vineyard’s Pinots. I enjoyed aromas of ripe, mashed blackberry and cherry (emphasis blackberry) that followed through in the taste. This was a wine of intriguing contradictions: it was decadently rich but finished clean in a perfect acid balance against fruit. The mouthfeel was glycerin like, coating the palette with silky and clean fruit spiced with anise and a whisper-hint of black tea. Yet despite all this fruit, the wine was not jammy. It was a symphony of balance instead; its notes intermingled while playing against each other, each discernable but then immediately contrasted against the other, all ending in a long, long finish. Amazingly, despite this long finish, I wanted to sip again just to re-experience the process. Yes, this is a “new world” style wine. It’s not in the style I have habituated to since enjoying French burgundies in the 70’s and becoming accustomed to that model. But it was a joyous experience and one I would happily and eagerly re-visit. And perhaps, that’s the strongest recommendation any wine reviewer can really make. 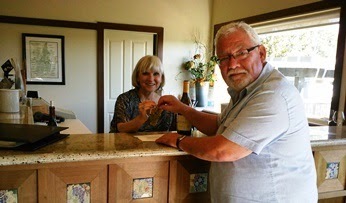 recommendation is to visit the winery’s web site and register on that list. In the meantime, estate wines (including Pinots) are available and can be ordered directly on line. Tasting these excellent wines will just develop appreciation toward the eventual experience of being able to enjoy a single-vineyard estate bottled wine from J. Rochioli vineyard and winery. The push-pull of balance, the tease and reward system of notes on the palette intrigues and invites along the journey. Like Wine Mizer on Facebook for mini-reviews, recipes, fun facts and more. Follow WineMizer on Twitter.